Tiddlywinks: Oh, Go Fly a Kite! 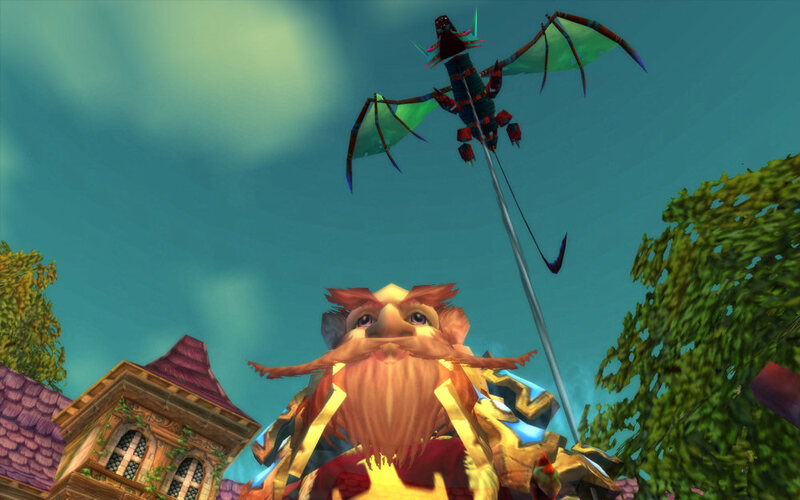 Yesterday, when Sir Tiddlywinks awoke, sitting in his bank was the Azure Whelpling, purchased off the auction house for the low, low price of just 600g! Ok, so maybe the price wasn't so low, but it was the best deal I'd seen in a while and, even though I promised myself I wouldn't spend any money until I hit 1,000g, I did. And the Whelpling is currently in the bank vaults. What? The bank vaults? Surely you jest. Hey, don't call me Shirley. OK, sorry about that. But the Azure Whelpling is in the vaults because I have a toy that is much more fun and exciting to play with. 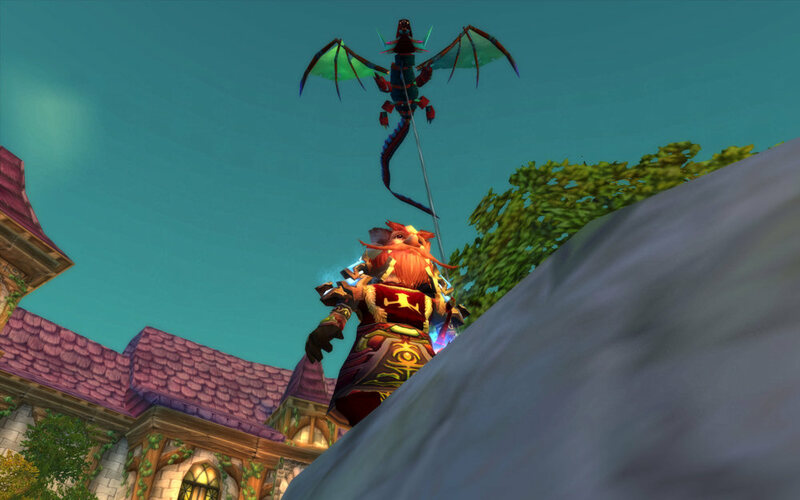 My very own...Dragon Kite! 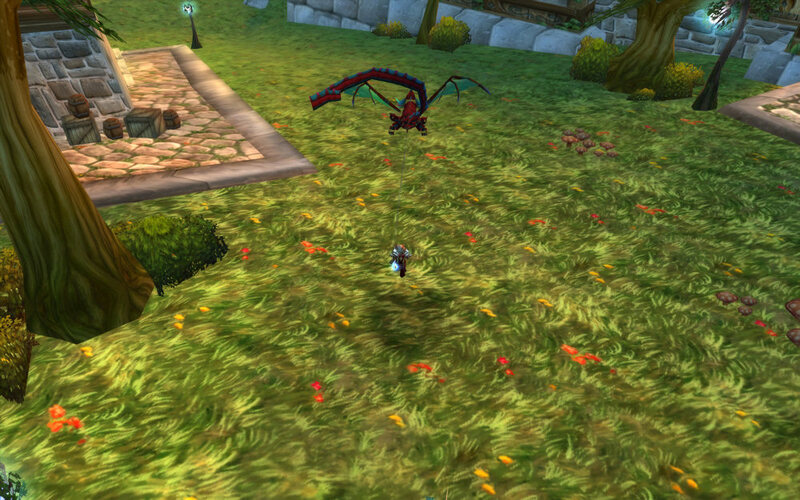 Yes, I broke down even further and bought a Dragon Kite. But it's just so much fun to tow behind you. 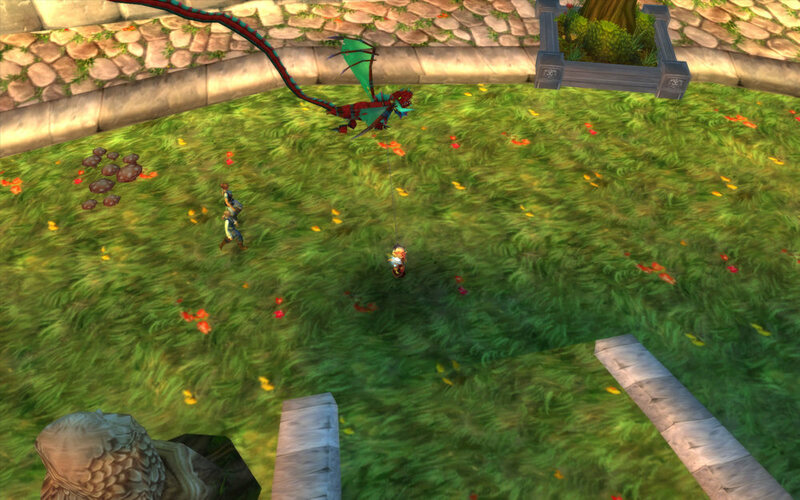 The first place I went to fly the kite was Stormwind Park. It just seemed to me to be the logical place to fly a kite. Here are some images of me with the kite. Occasionally, the kite can pick up an electric charge from the air and shock me, but I love it nonetheless. Oh yeah, it apparently can't be used in tow from a mount. That's kind of disappointing, but I guess the materials used to craft such a fine piece of goblin engineering (ok, maybe not so much engineering), may break up at higher speeds. 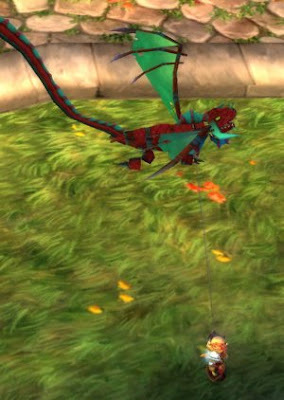 Either way, I'm in love with my new dragon kite and I am now rocking 57 of 79 pets (nota bene: 6 of those pets are coming in 2.4, so until then, I have 57 of 73). One more should arrive this weekend and two more in May with Children's week. But until then, I shall continue my neverending farming quest for my very own Firefly this weekend. I am determined to find this one on my own. Also, with just two more pets, I will break into the Top 50 pet collections held by a single character at WarcraftPets.com. That will be an exciting day!